You have hidden your smile in a photo for the last time! You are ready to flash your smile with confidence and you’ve heard that cosmetic dentistry can help you achieve your goals. But who can you entrust your teeth to, and how will you know that you’ll receive the results you’ve always wanted? Here are a few helpful tips in choosing the right cosmetic dentist in Calimesa. Does your friend have a gorgeous smile? Ask where she had her dental work done! Talk with your trusted friends and family members to receive referrals for potential cosmetic dentists. Once you have some names of perspective cosmetic dentists, check their credentials online. Which schools did they attend? What kind of continuing education do they participate in? You can also check out their reviews and testimonials to see what other patients have experienced when working with them. This is probably the most important step. Schedule a commitment free consultation with your prospective provider to discuss their philosophies and ideas for your smile. You may be surprised that you have different options and procedures to choose from. 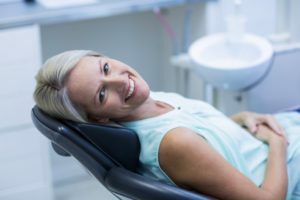 Your consultation is an excellent time to ask all the questions you have, and you may even want to bring photographs of smiles you admire to show your cosmetic dentist in Yucaipa. You should also ask to see before and after pictures of their work to ensure that their skill level and artistry will meet your needs. Why not Consider Choosing Dr. Scott Parker? Dr. Scott Parker has had extensive training in the field of cosmetic dentistry and he offers a wide range of cosmetic services to meet his patient’s needs. So whether your teeth just need a boost with whitening, or you’re looking to completely redesign your smile, Dr. Parker can help! His practice is conveniently located off of Christopher Columbus Transcontinental Highway and right by the Calimesa post office, making it easy for patients residing in Yucaipa to receive the cosmetic services they need. If you’d like to learn more about what’s possible for your smile, give Dr. Parker a call today to schedule your cosmetic consultation. Dr. Scott Parker and his team are dedicated to providing patients in Calimesa, Yucaipa, and surrounding communities with exceptional dental care. Patients appreciate the relationships they build with Dr. Parker that allows him to provide personalized care. If you would like to contact Dr. Parker, he can be reached through his website or by calling 909-795-6019.